The Plantation collection makes you feel like you're on vacation in a warm beachfront cottage year round. 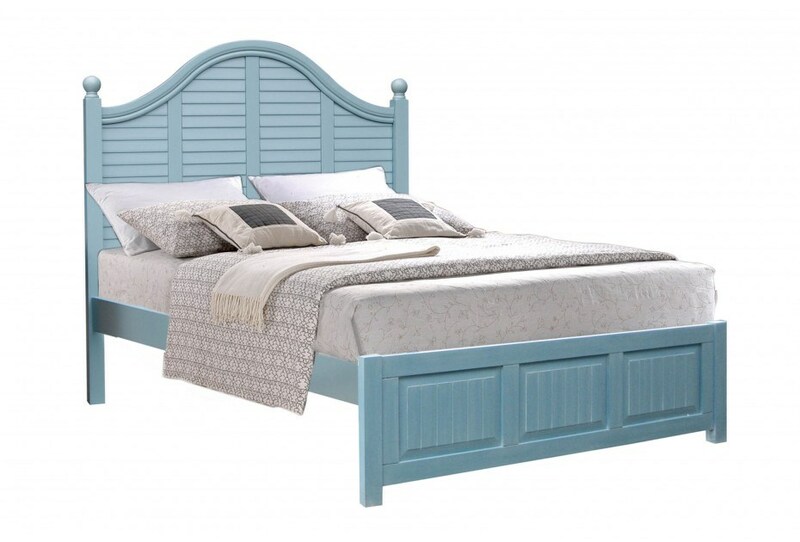 Featuring an ocean blue finish with a shuttered headboard and raised panel footboard. Built with longevity in mind, all drawers are fully extendable and feature double ball bearing glides. The drawers also include English dove tailing on both the fronts and backs, corner blocked and center supported for durability and made with hand placed shutters on the doors. With optional nightstands and chests to choose from you can make this collection truly your own.